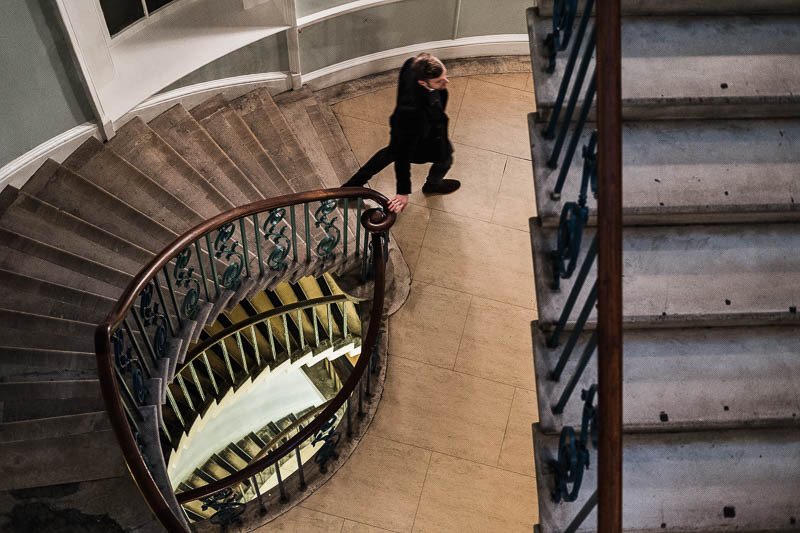 I love the staircase at Somerset House, it's such fun to photograph, and it is one of the few buildings in London, where you are not restricted from taking photos inside. I can understand why you like it. What a great composition and image you created here. I like it with the person included. Nice details. Curved staircases always draw my eye. This looks great. It would be fun to take photos here. Lately I've seen a lot of photos of a staircase at a place called Heal's & Sons in London that looks amazing. I had never heard of that place before. Excellent photograph, Mo. It appears that the young man is made of rubber. His posture is not human.